Update: You don't have to worry about delivery delays anymore. Our laser cutter will be fully functional again starting from 25th of July. Unfortunately we had a small accident. Our laser cutter caught fire. Don't worry: Nobody got hurt and the company building is still standing! It is not yet clear if it is a total write-off or if it is economically justifiable to send the laser cutter back to the manufacturer for repair. Nevertheless both option (new laser cutter or repair) will take several weeks. We use the laser cutter for the kits (brackets for the Weather Station, Server Room Monitoring kit, Blinkenlights etc), for all of our enclosures and the mounting plates. We don't have a big stock of these parts. They are mostly made just in time when they are ordered. If you order a kit that includes laster-cut parts we will still ship the parts of the kits that are available and ship the unavailable plastic parts in a second delivery when they are available again. We don't know the exact time it will take to get everything running again, but even in the best case there will be a significant delay. Tinkerforge is official supporter of Speeding Scientist Siegen e.V. 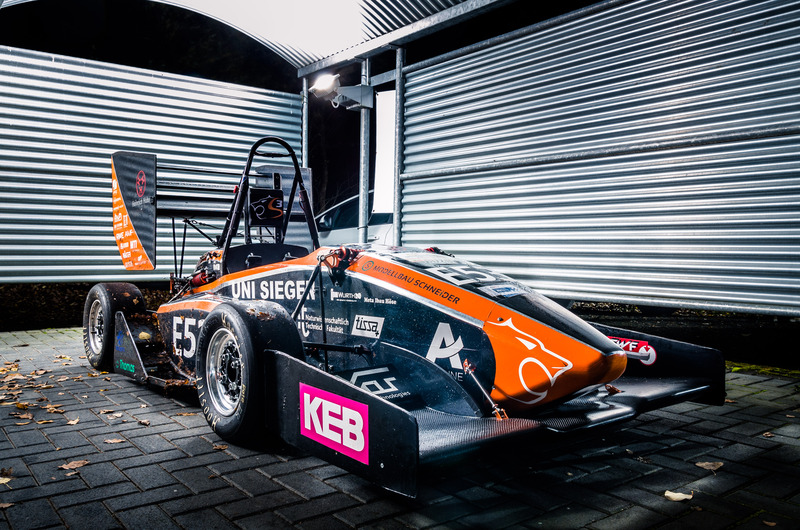 The S3Racing team of the University of Siegen is a member of the Formula Student. They are developing an electric racing car that, among other things, uses a Tinkerforge IMU Brick 2.0 in the control system. The student team is using the IMU to measure the roll, pitch any yaw angle that occur during the drive around the track in curves and during acceleration/deceleration. The gathered data is used to control the parameters of the four wheel drive for an optimal force distribution. The IMU Brick is used integrated in the car with a Step-Down Power Supply and an Ethernet Master Extension. The 25 students of the Speeding Scientist Siegen e.V. build up and optimize a car every year for challanges all over the world. They are able to directly apply the theory learned in the lectures and gain valuable real-world experience. Besides the engineers, the team also has financing and marketing students to help with there respective expertise. The new racing car is a pure electric racer made with carbon with the name "Marlene McFly". Marlene has a top speed of 135 km/h and passes the 100 km/h mark after less than 3 seconds. It is not a toy, it is a real racing car! Because to the really light chassis, which weights only 16,3 kg, the car has a total weight of only 195 kg. The two electric motors have a total power of 80 KW (109 PS). This equates to a ratio of 1,7 kg/hp (by comparision: The Formula-E racing cars have a power-weight ratio of 2,9 kg/hp). The Formula Student was founded in 1981 by the Society of Automotive Engineers (SAE) in the USA. 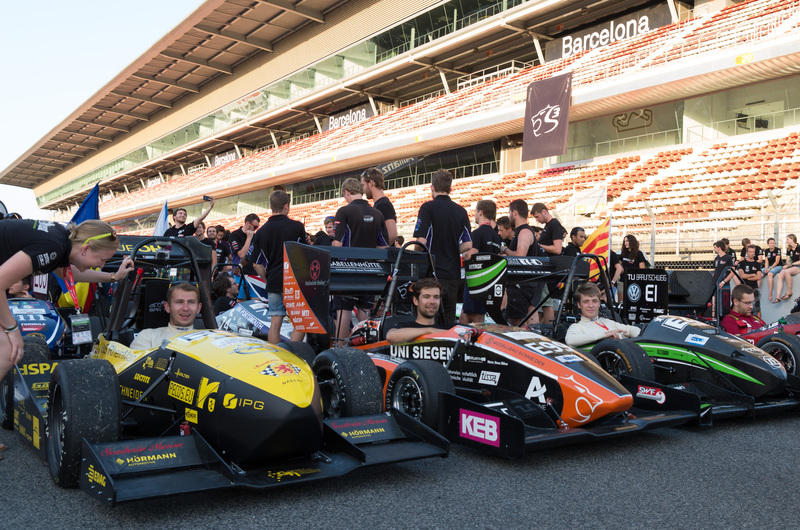 By now the Formula Student is an international competition with teams Europe and Asia. 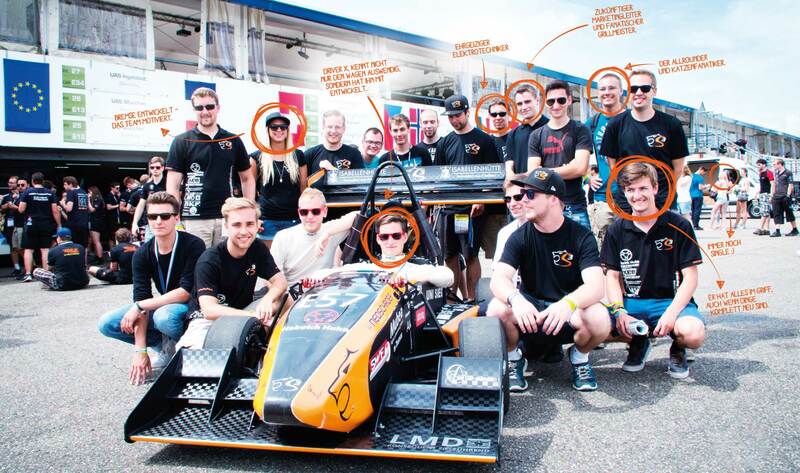 The "Formula Student Germany" exists since 2006 and they race each year at the Hockenheimring. The cars are developed with rigorous technical and financial restrictions. The goal of the competition is to give the students all over the world the possibility to apply the theory learned in lectures and to compare their approach to the different solutions of the other teams.